Normally, books written in prose or letters, or even emails, really don’t work for me. Often I find they lack depth, development and a consistent narrative. Needless to say, I was nervous to pick this book up. Two things ended up swaying me: the over 500,000 reviews (and over 4 star rating) on Goodreads and the movie adaptation. While these aren’t necessarily the best reasons for picking up a book – I’m very glad I did. 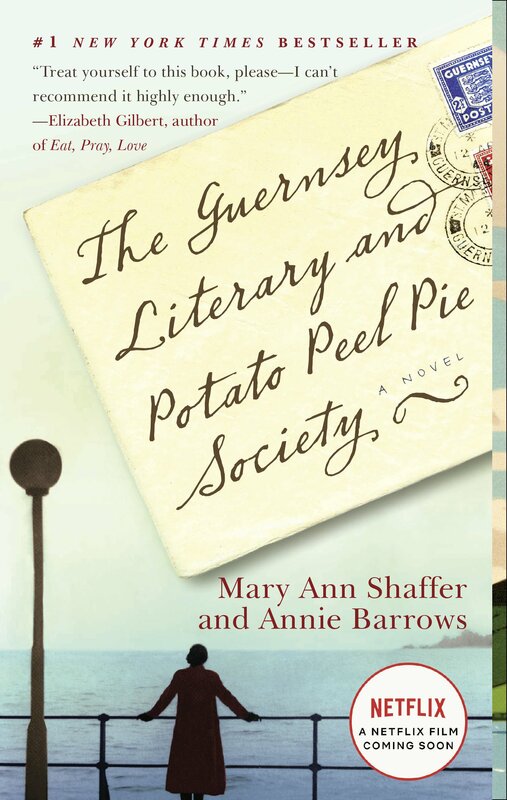 The Guernsey Literary and Potato Peel Pie Society is a charming, complex book that explores how islanders survived the German occupation of Guernsey in World War II. Juliet is an author who found her success writing newspaper columns during World War II in London. She has grown tired of the war columns and is looking for her next inspiration when she gets a letter from the island of Guernsey. Guernsey (an island in the English Channel) was occupied by the Germans during World War II and was entirely cut off from the rest of the world. As she begins exchanging letters with the islanders, Juliet becomes enraptured by the stories of the Literary Society members during the occupation, slowly unraveling the mystery behind some of the founding of the Literary and Potato Peel Pie Society. Juliet is one of my favorite characters in ages. She is unapologetically herself and is independent to a fault. Her wit is only matched by her fierce protection of her friends and loved ones. All of that being said, she wasn’t without her flaws – she’s a bit nosy and can be bullheaded in her pursuits. Instead of hindering her, these flaws really helped make her into a realistic character you can’t help but root for. The other characters in this book were just as well-defined and enjoyable to read. I particularly loved the dynamic between Isola and Juliet as well as Sidney’s protective older brother relationship with Juliet. The plot is beautifully delivered through the letters between Juliet and her friends. The telling of events from multiple points of view really added a level of depth I was not expecting from this book. Reading what the Literary Society had meant and done for its members was heartwarming and at times, gut-wrenching. Additionally, the letters built a narrative around Elizabeth, the missing Guernsey resident. She is intricately weaved into every single one of the Society members lives, which painted a picture of her life as told by the impact she had on others. It was a subtle way to explore her character, and it could not have been done better. Seriously, I cannot overemphasize just how good this book is. Even if non-traditional storytelling isn’t your normal cup of tea – give this book a shot. You’ll be surprised just how well this heartwarming story is told through the letters of Juliet and her Guernsey friends. And as usual, do yourself a massive favor and read the book before you see the movie (the book is much, much better). 5/5. I just purchased this book last week. Can’t wait to crack it open. Great review! Thanks, I hope you enjoy it as much as I did! I agree, I typically don’t read this format. But I enjoyed this book! Thanks for sharing, I’ve had this book on my reading list forever. Would you recommend it? I’ve heard lots about this one it seems very well loved. I hope you still get a chance to read it! The movie was super cute, but the book is even better (I promise)! I haven’t heard of this one! But I agree book before movie always! Isn’t this so good?? I’m glad you adored it as much as I did. SO GOOD. Is it too soon for a reread? Wonderful review. I am glad that you enjoyed it so much. Oh wow! I’ve never read a book made up from letters etc before but reading your review means I’m definitely going to have to check this out, it sounds amazing! Great review. I’ve never read the book nor seen the movie. I’ll have to one day as it looks so good. Thanks for sharing!! Going to have to add this to my Goodreads account now!